This statue is commonly referred to as "KIO"; as in Knife DIO. 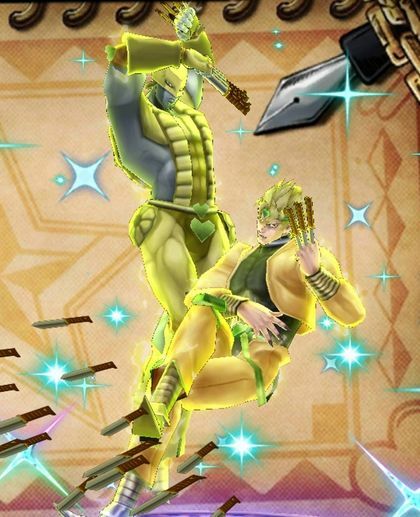 Performs a blow using the stand. With this you are dead! Stops time and delivers a powerful blow.